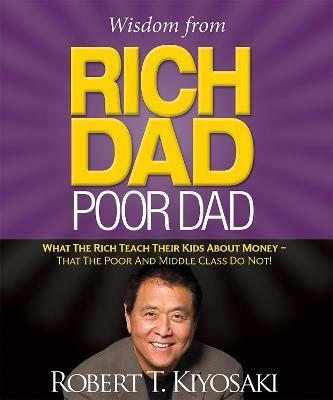 Wisdom from Rich Dad, Poor Dad : What the Rich Teach Their Kids About Money--That the Poor and the Middle Class Do Not! A mini abridgement of the #1 Personal Finance book of all time, Wisdom from Rich Dad Poor Dad tells the story of Robert Kiyosaki and his two dads,his real father and the father of his best friend, his rich dad,and the ways in which both men shaped his thoughts about investing. You don't need to earn a high income to be rich,find out the difference between working for money and having your money work for you.